Connecticut Legalization Bill Gets Hearing Tomorrow . The General Assembly's Public Health Committee has a hearing set for House Bill 5314 , cosponsored by Rep. Melissa Ziobron (R-East Haddam). The bill would legalize marijuana for people 21 and over, set up a regulatory system for marijuana cultivation and sales, and set up a tax system for marijuana commerce. Other legalization bills proposed by Democrats are awaiting action. Maryland Legalization Bills Get Hearing . Supporters and foes of marijuana legalization testified before the Senate Judicial Proceedings Committee last Thursday on Senate Bill 927 , which would tax and regulate legal marijuana sales, and on Senate Bill 891 , which would set up a referendum to amend the state constitution to allow people 21 and over to possess up to two ounces and grow up to six plants. No votes were taken. New Mexico Senate Approves Decriminalization Bill . The Senate voted last Thursday to approve Senate Bill 258 , which would decriminalize the possession of up to a half-ounce of marijuana. Between a half-ounce and eight ounces would remain a misdemeanor. The move comes after the legislature rejected outright legalization. The bill is now before the House Consumer and Public Affairs Committee. North Dakota Legalization Initiative Supporters Will Try Again . Initiative campaigners gave up a few months ago on signature gathering, but now say they will try again and are aiming at getting a measure on the 2018 ballot. Campaigners said they would have a new petition later this spring or summer. Wyoming Bill to Set Edibles Penalties Dies Amidst Discord . A conference committee of House and Senate members was unable to reach agreement on how to punish the possession of marijuana edibles, killing House Bill 197 . The bill had sought to close a loophole in state law that left it unclear how to punish edibles possession, but originally also included sentencing reductions for marijuana in its plant form. That provision was intended to make the bill palatable to Democratic lawmakers, but it was stripped out of the bill in the Senate. The bill died when the House rejected the Senate version. Arkansas Medical Marijuana "Fix" Bills Are Moving . The Senate sent two medical marijuana bills to the governor's desk last Thursday, while the House passed three more bills and sent them to the Senate. Winning final legislative approval were House Bill 1556 , which bars the use of teleconferencing to certify a patient for medical marijuana, and House Bill 1402 , which would allow the state to reschedule marijuana if the federal government does it first. Meanwhile, the Senate will now take up House Bill 1580 , which imposes a 4% sales tax on cultivation facilities and a 4% sales tax on dispensary sales; House Bill 1436 , which sets an expiration date for dispensary licenses, and House Bill 1584 , which would led regulators issue temporary dispensary or cultivation licenses when the original owner ceases to be in control of the business. West Virginia Medical Marijuana Bills Filed . Sen. Patricia Rucker (R-Jefferson) and 11 cosponsors have filed Senate Bill 386  and companion legislation in the House that would allow for the medical use of marijuana by patients with one of a list of qualifying disorders. Mississippi Senate Approves Asset Forfeiture Reform Bill . The Senate voted unanimously last Thursday to approve House Bill 812 , which will require law enforcement to report on all forfeitures and creates a new asset forfeiture warrant system under which a judge would have to authorize seizures. The bill had already passed both houses, but had to go back to the Senate for a housekeeping vote. It now head to the desk of Gov. Phil Bryant (R). 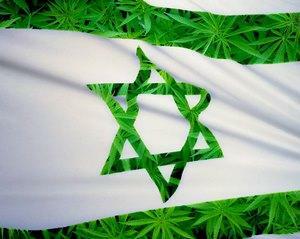 Israeli Cabinet Approves Marijuana Decriminalization . The cabinet has approved the public safety minister's proposal to decriminalize pot possession. Under the proposal, people caught with marijuana would face only administrative fines for their first three offenses, but criminal charges for a fourth. The measure must still be approved by the Knesset. Durham Police Will Become First in England to Implement Prescription Heroin and Supervised Injection Sites . Police in Durham are set to begin buying pharmaceutical heroin and providing it to addicts, who will inject it twice a day at a supervised injection site. The plan is currently being studied by public health authorities in the region.